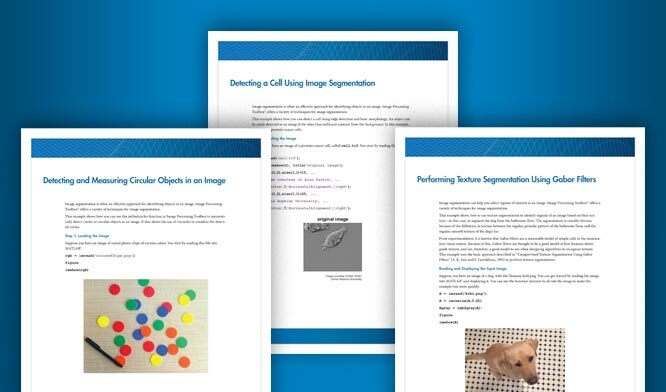 The Image Processing Toolbox™ software provides tools to support point mapping to determine the parameters of the transformation required to bring an image into alignment with another image. In point mapping, you pick points in a pair of images that identify the same feature or landmark in the images. Then, a geometric mapping is inferred from the positions of these control points. You may need to perform several iterations of this process, experimenting with different types of transformations, before you achieve a satisfactory result. Sometimes, you can perform successive registrations, removing gross global distortions first, and then removing smaller local distortions in subsequent passes. 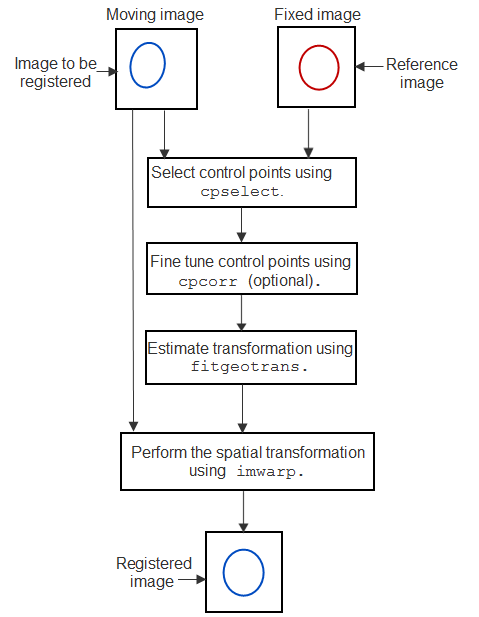 The following figure provides a graphic illustration of this process. This process is best understood by looking at an example. See Register an Aerial Photograph to a Digital Orthophoto for an extended example.